home Business, In The Spotlight Reel fun ahead! Grab the popcorn, because this fall is an exciting time for cinema in Coronado! The Coronado Island Film Festival (CIFF) returns Nov. 9-12, right on the heels of Coronado’s Village Theatre’s 70th anniversary. Throughout the year, CIFF has hosted its “Classic Film Series” on Wednesday nights at the Village Theatre. On Oct. 25, jump on your hover board for “Back to the Future,” chosen as the 70th anniversary feature by theater operator (CEO of Vintage Cinemas) Lance Alspaugh. “Perhaps the movie choice is a bit tongue-in-cheek, since the village fought long and hard for more than 10 years prior to the theater’s rebirth in 2011,” he said. The Hotel del Coronado is prominent in the imagery along one interior wall of the main auditorium of the restored Village Theatre. If their DeLorean whizzed them to a time shortly before then, Doc and Marty McFly would have found a dilapidated theater and disinterested owners. Movie-goers would sit on springs poking through ripped and duct-taped seats, the single screen itself torn for years. And though some like it hot when it comes to Coronado movies, the lack of air conditioning was a downside. The theater’s doors closed in 2000. But when it opened in 1947, the theater was an art deco gem to which excited audiences flocked to see movies in Technicolor. Patrons crossed a sparkling terrazzo floor under the bright lights of the skyward kiosk into the one-room theater that sat 600. Lavish velvet curtains unveiled the screen before it lit up with cinematic thrills. And as the theater’s opening marquee proudly proclaimed, it was air conditioned, at least for the first few decades. Following years of public outcry, the city, in a rare public-private partnership, stepped forward to plan and renovate the theater at a cost of $3 million, and in June 2011 Village Theatre reopened and the scent of buttery popcorn once again wafted from its etched glass doors. The restored theater features three auditoriums, the largest with seating for 215 people, and two others that seat 38 each, and design concepts by renowned theater designer Joseph Musil. 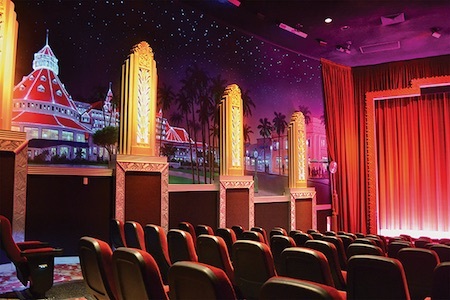 The walls of each auditorium feature hand-painted murals by the late Disney muralist Bill Anderson, depicting iconic regional images such as the Coronado bridge, Hotel del Coronado and San Diego skyline. All are equipped with Sony 4K Digital Cinema Projection systems with six channel digital sound. Elegant velvet curtains open to reveal the screens as movies begin, taking audiences back to the glamorous days of early cinema. 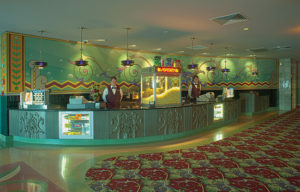 Village Theatre’s restoration included art deco designs throughout the auditoriums, lobby and snack bar. The first annual festival screened 85 films from 16 countries, with a stellar lineup of head jurors that included Jim Gallagher of DreamWorks Animation, Academy-Award winning producer Lisa Bruce (a Coronado native), and Academy-Award winning documentary filmmaker Ira Wohl. All three have agreed to participate again this year, in addition to industry veteran Terry Curtin who will head the jury that will judge the Woman in Film award. 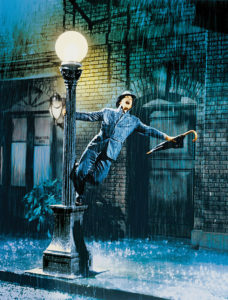 At this year’s Celebrity Tribute, the Legacy Award will go to Gene Kelly, and be accepted by his widow, Patricia Ward Kelly, who will also perform her one-woman show, “Gene Kelly: The Legacy.” Bruce will accept the Producer Award, and Raymond De Felitta, whose films have been honored at international film festivals and whose latest, “Madoff” stars Richard Dreyfuss in the title roll, will receive the Director Award. The festival will also honor acclaimed documentary filmmaker Steve James. And for kids, each day will begin with the showing of a celebrated Pixar animated film. This year’s event will showcase a strong music component, including award-winning musicians/composers Stephen Bishop, the songwriting team of Allan Rich and Jud Friedman and Vince Giordano. 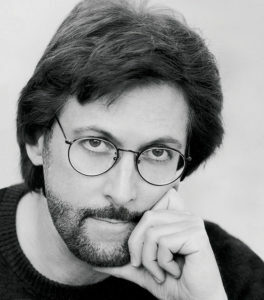 Oscar- and Grammy-nominated singer/songwriter Stephen Bishop will perform at this year’s film festival, which includes a strong musical component. Remember the scene in “Animal House” when John Belushi grabs a quiet, calm guitar player’s guitar and smashes it to smithereens in the toga party scene? That man was Bishop, who also sang the theme song for “Tootsie, “It Might Be You,” and whose Oscar- and Grammy-nominated songs have been performed by Sting, Beyonce, Phil Collins, Streisand, and Eric Clapton. Rich and Friedman, who have worked with artists including Barbra Streisand, Rod Stewart and Ray Charles, have had multiple Oscar, Grammy and Golden Globe nominations for well-known hits such as “Run to You” by Whitney Houston and “For the First Time” by Kenny Loggins. Music critic George Varga will head a panel discussion, “Music and the Movies,” and live musical performances will grace various venues throughout the weekend. On the festival’s final night, it will continue a tradition of screening “Some Like It Hot,” on Del Beach. The iconic film was shot at the hotel in 1958. The Coronado Island Film Festival’s presenting sponsor is Hotel del Coronado; the city of Coronado is a major sponsor. Passes are on sale now at coronadoislandfilmfest.com. 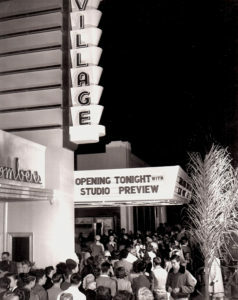 The Village Theatre opened to excited throngs of movie-goers in 1947. 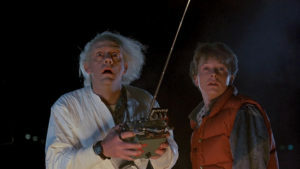 “Back to the Future” will screen on Oct. 25 as part of the Coronado Island Film Festival’s Classic Movie Series. 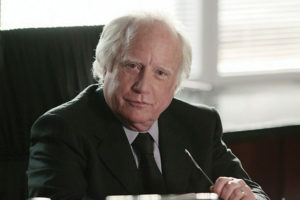 “Madoff,” starring Richard Dreyfuss, is director honoree Raymond De Felitta’s latest film.